Forced medication or Sell hearings are relatively rare. As such, there is not a lot written about how to approach them. For a criminal defense lawyer, it is not simply a matter opposing the prosecution’s position because your client does not want to take his or her medication. Rather, the forcible administration of medication could have profound impact on trial strategy as well as longer term health consequences. The Supreme Court case of Riggins v. Nevada was not just the most famous case I have ever handled but it was also the most interesting. It was the first murder case I ever tried, and a capital case at that. When the trial court ruled that Mr. Riggins could not refuse his prescribed psychotropic medication Mellaril, which is used to suppress psychotic behavior, I was astonished. Mr. Riggins’s only defense was insanity. There was no question that he killed the decedent. Aside from the effects of his medication, I questioned if Mr. Riggins looked “normal” at trial, would a jury believe that he was insane at the time of the murder? Mr. Riggins was convicted and sentenced to death. 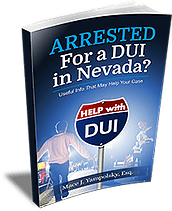 The conviction was appealed to the Nevada Supreme Court. There, we argued that the forced administration of Mellaril denied Mr. Riggins the ability to assist in his own defense and gave a false impression of his attitude, appearance, and demeanor at trial. Moreover, the State had not demonstrated that it had explored less restrictive alternatives to the 800 milligrams of Mellaril each day. The argument was lively and the decision was delayed. As time passed, I was beginning to have hope; but then the court affirmed the conviction and sentence. At that point. I wasn’t ready to give up. A petition of certiorari to the United States Supreme Court was filed and the court granted the petition. The Supreme Court reversed and remanded, holding that forced administration of antipsychotic medication during Mr. Riggins’s trial violated his rights guaranteed under the Sixth and Fourteenth Amendments. A seven member majority held that the state did not show that antipsychotic medication was medically appropriate and further, the state did not show that it considered less intrusive means in obtaining its goal of trying Riggins. After the decision, Mr. Riggins’s case was remanded to the Nevada District Court to be retried on the original murder case. He was appointed new counsel who resolved the case by having Mr. Riggins plead guilty to both the murder and the robbery charge with use of a deadly weapon. The state agreed to withdraw its request for the Death Penalty. To be clear, the Supreme Court did not hold that the state could not forcibly medicate Mr. Riggins. Rather, it held that the state did not show that there were not any alternatives. He has sufficient present ability to consult with his lawyer with a reasonable degree of rational understanding and whether he has a rational as well as factual understanding of the proceedings against him. Due process requires that a defendant be competent at the time of trial. The right to be tried only if competent is fundamental to an adversary system of justice. Competence to stand trial is rudimentary, for upon it depends the main part of those rights deemed essential to a fair trial, including the right to effective assistance of counsel, the rights to summon, to confront, and to cross examine witnesses, and the right to testify on one’s own behalf or to remain silent without penalty for doing so. Are not really present at trial; they may not be able properly to play the role of an accused person, to recall relevant events, to produce evidence and witnesses, to testify effectively on their own behalf, to help confront hostile witnesses, and to project to the trier of facts a sense of their innocence. The inquiry involves an assessment of whether the accused can assist “in such ways as providing accounts of the facts, names of witnesses, etc.” United States v. Mercado, 469 F.2d 1148, 1152 (2d Cir. 1972). But it is not sufficient merely that the defendant can make a recitation of the charges or the names of witnesses, for proper assistance in the defense requires an understanding that is “rational as well as factual.” Dusky, 362 U.S. at 402. If a defendant is deemed incompetent, court proceedings are usually stayed. Once the case is stayed, the court has many options on how to proceed, including committing the defendant for treatment until he or she can stand trial. While a few jurisdictions are developing outpatient programs, most of the restoration process occurs in a hospital. In general, most defendants will be prescribed medication to assist in alleviating the symptoms of the individual’s mental illness. If the defendant agrees with the prescribed treatment, no further input from the court is needed until the stay terminates. If the defendant refuses medication, most jurisdictions follow a substantially similar procedure. The prosecution must decide if a defendant should be medicated for safety or health reasons. If the answer is yes, then a hearing must proceed on that issue, following a different standard than being medicated for the sole purpose of becoming competent under the case law. This is often called a Harper hearing after the U.S. Supreme Court case of Washington v. Harper. If a defendant does not need to be medicated regarding safety or health, then the court will have what is called a Sell hearing to determine whether psychotropic drugs may be involuntarily administered to a mentally ill criminal defendant to render that defendant competent. Restraints, both physical and mental, are viewed with disfavor because they may abridge important constitutional rights protected by the Sixth Amendment, including the privilege of testifying in one’s own behalf, the right to confront witnesses, the right to consult with counsel during trial, and the right to appear and defend in person, which includes the right to appear with the unfettered use of one’s mental faculties. Sell is the landmark decision in which the U.S. Supreme Court imposed stringent limits on the right of a trial court to order the forcible administration of antipsychotic medication for the sole purpose of making a defendant competent to stand trial. The court held that trial courts could do so only under limited circumstances in which specified criteria had been met. In the matter of Mr. Sell, because the trial court had failed to determine that all the appropriate criteria for court ordered forcible treatment had been met, the order to forcibly medicate the defendant was reversed. Using the framework set forth in Riggins, the court emphasized that an individual has a constitutionally protected “interest in avoiding involuntary administration of antipsychotic drugs” and this interest is one that only an “essential” or “overriding” state interest might overcome. Sell established four factors that must be evaluated when determining if a defendant should be medicated against his or her will. The first Sell factor is an exclusively legal consideration, which requires that important governmental interests be at stake to warrant even consideration of the distribution of involuntary medication. The second Sell factor directs “the court must conclude that involuntary medication will significantly further concomitant state interests” and be “substantially likely” to restore competency and “substantially unlikely” to cause side effects that would prevent the defendant from assisting counsel. The third Sell factor requires the court to find that involuntary medications are necessary to further the state’s interest. The fourth factor requires that proposed treatment be in the defendant’s best medical interest. Sell requires a hearing with consideration of those four factors that must outweigh the defendant’s interest in protecting the sanctity of his or most precious privacy interest; their own body. Despite the court’s agreeing with precedent that the evidentiary standard in all factors of Sell hearings is clear and convincing evidence, what is left unclear is the meaning of “substantially likely” or “substantially unlikely” contained in Factor 2. The Sell Court acknowledged that setting a number or percentage level of confidence to “substantial” risks invites experts to tailor their testimony to the desired result. Courts have uniformly held that involuntarily medicating a defendant to achieve competency for carrying out the execution of the defendant/inmate is in violation of the Eighth Amendment. Assuming that the prosecution can involuntarily medicate a defendant so that he or she is competent to stand trial, can the defendant still mount an insanity defense? This is unsettled, because the U.S. Supreme Court has yet to answer this and many other questions, including the role of doctors and the various effects of treatment. It seems that a defendant could still be heavily medicated, and plead insanity, as the insanity defense deals with the defendant’s state of mind at the time that the crime was allegedly committed, not the defendant’s state of mind during trial. Nevertheless, as contemplated by some of the justices in Riggins, it may be confusing for a jury to understand the two different time periods. After all, if someone was “insane” at the time that he or she allegedly committed the crime, but currently sitting before the jury calmly and quietly, would the jury be likely to find an insanity defense credible? Probably not. One issue to consider is that many state’s civil commitment statutes allow the respondent to decline medication for twenty four hours prior to the adjudicative process. Arguing that an offender should be able to attend trial without medication slowing his or her thinking might be considered. Paralleling civil commitment hearings and criminal trials and the law in your state (or to other states that are favorable about not taking medications prior to the hearing) might allow your client to be medication free during trial. When you are representing a client at a Sell hearing, you must read the decision and become familiar with the factors. After that, be creative. Use the internet to research the medications which the facility wants to use. See what the side effects are, if any. The Physician’s Desk Reference is an authoritative resource that can be utilized. Ask your client and his or her family if the client has taken that medication before and what was the result. Past medical records may provide further insight in to the effectiveness (or lack thereof) of the requested medication. Talk to the doctor at the facility and find out why the staff wants to medicate the client and why with that drug in that dosage. If, for example, the staff claims that the client is uncommunicative, review phone recordings and/or transcripts to see if in fact the client is truly uncommunicative, or just uncommunicative to the jail staff. Ask about the procedure that will be used to administer the medication if the defendant is unwilling to take it. Forced medication orders are generally limited to antipsychotics, so make sure to review the applicable law in your state. Have a psychiatrist review the report and recommendation, which the prosecution supports, to ensure that the diagnosis and proposed medication at that dosage are correct and that the treatment will be effective in restoring competency. Make sure you receive all the information to which you are entitled, that is the exact dosage of the proposed medication as well as the proposed duration. The Ninth Circuit made clear in United States v. Hernandez Velasquez that the court is not to grant unfettered discretion to the prescribing and administering of medications, even in a Sell setting. Accordingly, we hold that a Sell order must provide at least some limitations on the medications that may be administered and the maximum dosages and duration of treatment. At a minimum, to pass muster under Sell, the district court’s order must identify: (1) the specific medication or range of medications that the treating physicians are permitted to use in their treatment of the defendant, (2) the maximum dosages that may be administered, and (3) the duration of time that involuntary treatment of the defendant may continue before the treating physicians are required to report back to the court on the defendant’s mental condition and progress. We stress that while the court may not simply delegate unrestricted authority to physicians, the restrictions it does impose should be broad enough to give physicians a reasonable degree of flexibility in responding to changes in the defendant’s condition. Moreover, the Government or the defendant may move to alter the court’s order as the circumstances change and more becomes known about the defendant’s response to the medication. When the purpose or effect of forced drugging is to alter the will and the mind of the subject, it constitutes a deprivation of liberty in the most literal and fundamental sense. “The makers of our Constitution undertook to secure conditions favorable to the pursuit of happiness. They recognized the significance of man’s spiritual nature, of his feelings and of his intellect. They knew that only a part of the pain, pleasure and satisfactions of life are to be found in material things. They sought to protect Americans in their beliefs, their thoughts, their emotions and their sensations. They conferred, as against the Government, the right to be let alone the most comprehensive of rights and the right most valued by civilized men.” Olmstead v. United States, 277 U.S. 438, 478, 48 S.Ct. 564 (1928) (Brandeis, J., dissenting). The liberty of citizens to resist the administration of mind altering drugs arises from our Nation’s most basic values. There are other issues to explore. As mentioned above, a comparison to states that allow a respondent in a civil mental health commitment to forego medication prior to hearings might be useful in allowing your client to attend trial without medication side effects. An additional issue involves the role of doctors: are courts stepping into their shoes by determining whether the medicine selected by the government is the least intrusive and most effective means to achieving the government’s interest? Questions arise that cannot be easily answered in these hearings. One question is that even if the court defers to doctors, again, can doctors make a call given the Hippocratic Oath? Another area of inquiry is does the Sell decision put undue pressure on doctors to determine whether a person’s incompetence can be resolved with medication? What about people with intellectual/developmental disabilities who cannot be cured by medication? These issues could overlap with mental illness, making it difficult for doctors to create an explanation that will satisfy the court, let alone a jury. Medicine has different effects on different people. Who is to say that a medicine affecting one defendant will affect another in the same way? Is it a good idea to create binding case law that essentially states one medicine meets the Sell requirements and another medicine does not? Additionally, people may be mentally ill due to external factors, like sexual abuse or problems from their childhood, a chemical imbalance, or drug addiction. Mental illness is certainly not one size fits all, and treating it as such furthers social stigma that such problems can be easily resolved. Given all this, is it really possible for the courts to enforce the bright line test created by the Supreme Court in the Sell decision? What about the ethical quandary of the stated wishes of a client who seems incompetent and cannot have a rational conversation with his or her lawyer? Involuntary medication hearings are ripe for creative thinking and for challenging the presumption that there is one right answer. Who is best suited to make this determination? Judges? Doctors? Prosecutors? Defense lawyers? Above all else, what about the client’s wishes? Case law regarding forced medication is very confusing, and much remains unanswered. Indeed, as medicine continues to advance, the forced medication of defendants will likely become a more complex issue. Mace J. Yampolsky has been practicing law since 1981, handling criminal and personal injury cases. He has tried virtually every type of serious criminal and personal injury matter in both state and federal courts. He is certified as a Criminal Law Specialist by the Nevada State Bar and the National Board of Trial Advocacy. He is also a life member of the National Association of Criminal Defense Lawyers. He is AV rated by Martindale Hubbell. Mr. Yampolsky won the landmark U.S. Supreme Court case of Riggins v Nevada. He tried the case, appealed the death sentence to the Nevada Supreme Court, and argued it before the Supreme Court. It is highly unusual for the trial lawyer to argue the case through all levels of appeal. The issue was forced medication, specifically whether a mentally ill person can be forced to take antipsychotic medication at trial in order for the person to remain competent throughout the proceedings. Mr. Riggins’s conviction and death sentence were reversed, and the case was remanded for a new trial. Mr. Yampolsky’s can be reached at mace@macelaw.com and his website is http://www.macelaw.com. For more information on Mental Health Issues & Medicine, a free initial consultation is your next best step. 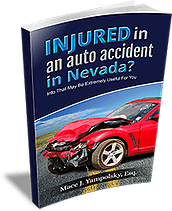 Get the information and legal answers you are seeking by calling (702) 385-9777 today.